It begins by changing what leaders believe. And then changing how they lead. Leaders are under great pressure to produce results at a faster pace, with fewer resources, and less certainty. Unfortunately, most leaders react to this by adopting a command-and-control style with their team. Teams disengage from leaders who control. Rather than increasing their performance, their work output falls and they become discouraged, and leaders’ efforts to produce more become counterproductive. Instead they and their teams produce less, and increase the risk of burn-out. Generative leaders on the other hand, focus on the team and how the team can be supported to produce results. Rather than commanding-and-controlling, they coach their team. 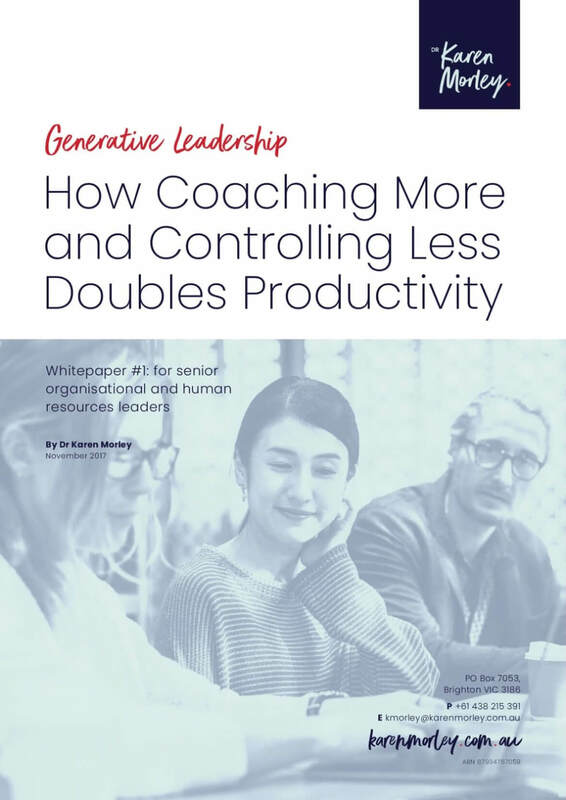 Download the whitepaper to learn more about how to make your workplace more productive by adopting a generative leadership approach to team management.